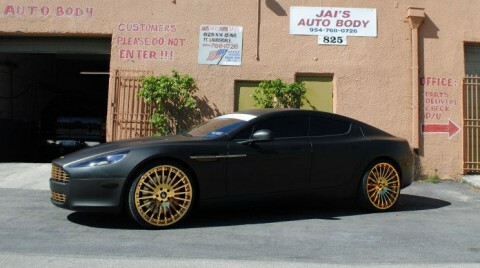 Meek Mill from Maybach Music Group just customized his Aston Martin Rapide. He painted the entire car flat black and gold plated all the trim. 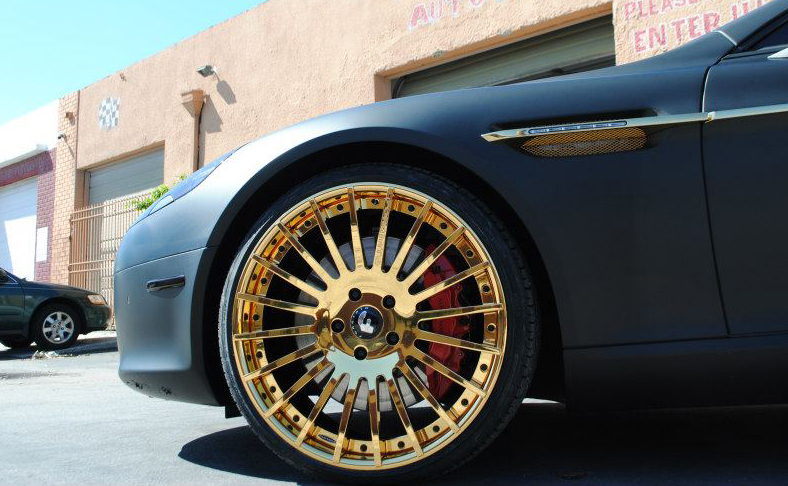 To top it all off, he ordered a set of custom built 24kt gold plated Forgiato wheels. He went with the concave multispoke Disegno-ECL wheel which is a great choice. I love the contrast between the dull flat black paint and the shiny gold trim on the car. Cant wait to see what other cars he adds to his fleet. 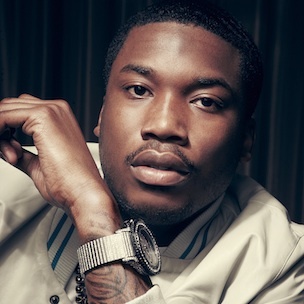 I wish more rappers would back up their music by actually going hard on customizing their cars.